Welcome to Toyota of Alvin’s Finance Department! At Toyota of Alvin, we are proud to offer competitive financing to any new or used vehicle you’re interested in. If you’d like to research possible car payments for your prospective vehicle, we provide a number of online tools like our Car Payment Calculator as well as professional advice from our Finance Specialists. You can even submit your finance application online before visiting us in person. Our helpful staff is here to answer any questions you may have about vehicle financing and which options may be best for your situation. If you’re interested in finding the value of your vehicle, we are ready to help. Continue on to our Trade In Form where you can start the appraisal process so you can know the value of your vehicle. You can also use the Black Book Trade In tool which will give you a rough market value estimate of your Trade In. If you have subprime or no credit or at all, we can help investigate financing options! Most all types of credit and credit scores may qualify for an auto loan meaning that we’ll work hard to try to find a solution that works for you. 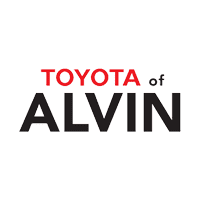 Toyota of Alvin has strong financing industry relationships and is committed to helping our customers in any way we can. Can I Refinance My Existing Loans? Yes, absolutely. For our customers with preexisting loans, low interest car financing is available if you’re looking to buy a new or used vehicle. We are able to help you refinance your car loan or adjust the term of the contract so that you’re able to move forward with your car purchase. Financing your next new or used vehicle is made easy with the help of our professional Finance Specialists. If you have any questions about payments, loans, or even about the car buying process, we’re standing by to help! We proudly serve the greater Pearland, Friendswood, and League City areas outside of Alvin, Texas.